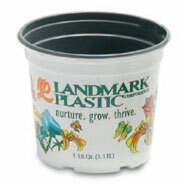 For over 35 years Landmark Plastic has been making life easier and less chaotic for growers, from propagation to patio. 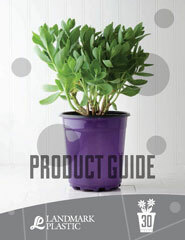 Our wide range of plastic containers, trays, packaging and growing systems for the horticultural industry were all designed with a deep understanding of what growers need. And what they don't. Our injection molded and thermoformed products can meet virtually any size, propagation, water conservation or transportation need. And because they’re precision-made in our own state-of-the-art facility, everything we make includes the uncompromising quality that allows for easy use. Not to mention the flexibility to customize your products with a variety of color, printing and labeling options to highlight your brand. Based in Akron, Ohio since 1984, our reach now extends across a number of countries. So no matter where you are, our problem-solving products and innovative solutions are right there to make life just a little easier. We’re not just hassle-free to work with, we’re also hassle-free to work for. Check here often for the latest job opportunities with Landmark Plastic. To apply for a position, simply download and fill out this application then mail it, fax it or bring to our offices. You can also fill out and submit an application online. We look forward to hearing from you.